A mysterious cosmic force is destroying the very fabric of subspace, rendering warp travel and interstellar communication impossible throughout scattered regions of the galaxy. Even worse, these "dead zones" are spreading rapidly, bringing the entire Alpha Quadrant to the brink of a new dark age. Only Captain Jean-Luc Picard and the crew of the Starship Enterprise stand a chance of reversing the decay by tracking the disruption to its ultimate origin. Beyond the boundaries of the Federation, deep in uncharted space, Picard and his treacherous Romulan allies have discovered the source of the crisis: a vast alien mechanism suspended between a black hole and a nearby inhabited planet. The ancient device is all that prevents the imperiled planet from disappearing into the voracious black hole, but its cataclysmic effects are eroding subspace at speeds faster than light. 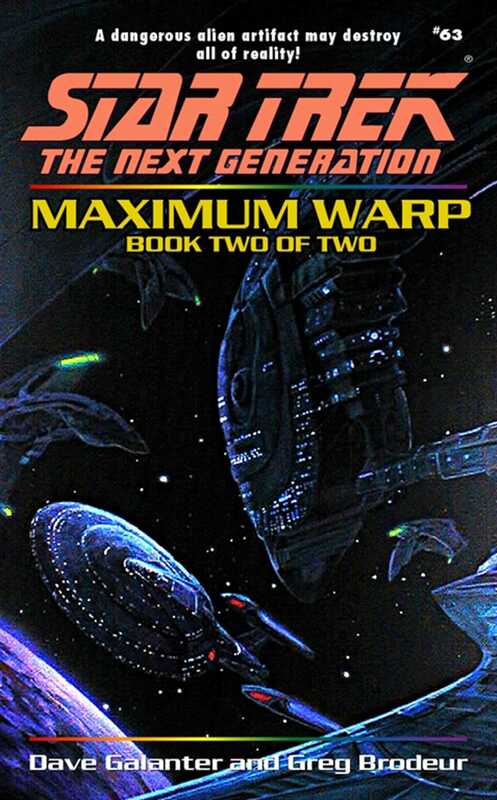 Now Picard faces a wrenching dilemma: must he sacriÞce an entire world to save the galaxy?